Nigerian born artiste Eniola Evelyn Ayo, well known as ‘Eniola’ who hails from Ogun state is a vibrant & beautiful young multitalented singer and actor. 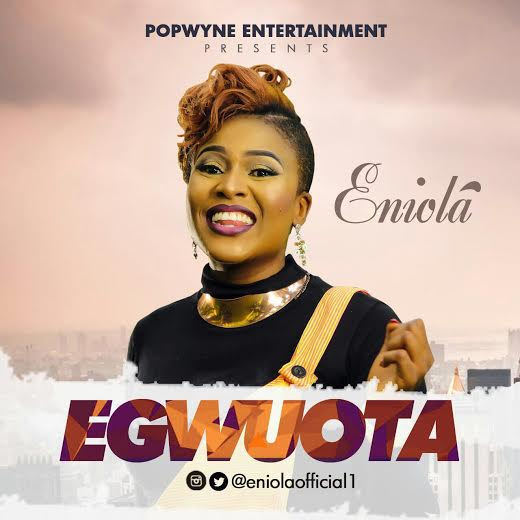 Eniola who has shared stages with popular Nigerian Acts with her melodious voice & energy drops her debut visuals to a great tune entitled ‘Egwuota’ under her new management Popwyne Entertainment. ENIOLA sets EGWUOTA (an indigenous dance of the Asaba people) on a great lane of dancehall, the tune is melodious, adorable & addictive spiced with a hip-hop jive to make you listen, enjoy and wiggle your waist! Video was directed and shot by CARDOSO IMAGERY at a location in Lagos. DOWNLOAD, WATCH, COMMENT & SHARE!! !